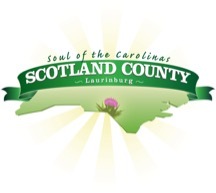 Welcome to Laurinburg and Scotland County… What do you see? When most people look at a town it is much like the blind men and the elephant. They base their takeaway solely on what they singularly touch. They don’t look further, deeper into the community. It is very easy for this to transpire both from within the community and from outside. It is easy to see the challenges we face; it is more valuable to see through these challenges to the covenant that we, as citizens, businesses, and government, have made to our community. While some may be blinded, we see a strong town – with strength both in character and community passion. We see a town built on the shoulders of its citizens, who, like those in most small towns, have a culture of working with each other and for each other… to make a better life for all. The current buzzword is “private-public partnership.” We simply call it community. It is this fabric of collaboration that provides the energy and propulsion for efforts that drive the projects, and people, of Scotland County. It is what drives us to be named an All-America city three times over. It is what drives us to be honored as having one of the highest per capita giving rates for Relay for Life. It is what drives us to develop 147 miles of bike trails, dedicate a park for our residents to take advantage of the Lumber River and to construct, as a community, a state-of-the-art recreation complex that benefits both our children and our business community. It is what drives us to partner with the Laurinburg Downtown Advisory Committee to provide for downtown re-development. While so many efforts point to “quality of life” – the leaders of Laurinburg and Scotland County appreciate that at the foundation of being “a great place to live, work and play” is a strong, vibrant economy always looking forward. Therefore, it is in economic development where we also embrace the true meaning of the word “community.” We have pooled our efforts so often, with such valuable results, that Laurinburg and our sister communities in Scotland County are now a living testament to what can be accomplished when both oars (public and private) row together for a common cause: to improve the economic well-being of our community. The completion of the new Diane Honeycutt Center in Laurinburg for Richmond Community College. The development of the “Early College” program – the first in the state where the public schools, the community college, the county and a private university work together. The solidification of St. Andrews University as a pillar of the community. The creation by the Chamber of Commerce of the “Young Entrepreneurs Academy (YEA! )” – the only one in the state. The continued expansion of Scotland Health Care System into a regional healthcare provider and our community’s largest employer. The private and public funding of exit lights on Highway 74. An investment that positively impacts over 50 businesses and 1,000 employees. The creation of the “Small Business Innovation Center” by Scotland County Economic Development Corporation – a partnership between Scotland County, Laurinburg, and Richmond Community College. The Laurinburg-Maxton Airport ready to take-off — with new runways in place. A community whose public and private shoulders lift together to support our business infrastructure and our quality of life. A community whose history of cooperation provides confidence in our future success. A community whose size and structure provide the strong foundation to move projects forward, and the nimbleness to make adjustments to assure success. A community whose fabric and history of working together, is not borne out of necessity, but of culture, character and sense of community. We see a community excited by the opportunity to take on whatever project the Department of Commerce can direct our way… and a community that will illustrate to the rest of the North Carolina, through our success, the benefits that can be achieved when local and state partners work together to improve our communities, our business environment, and our state.